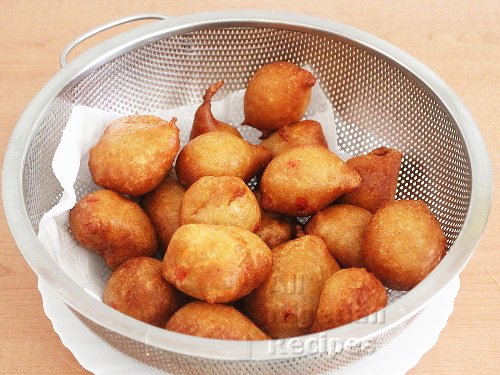 Peppered Puff Puff is the hot and spicy version of the classic Nigerian Puff Puff. 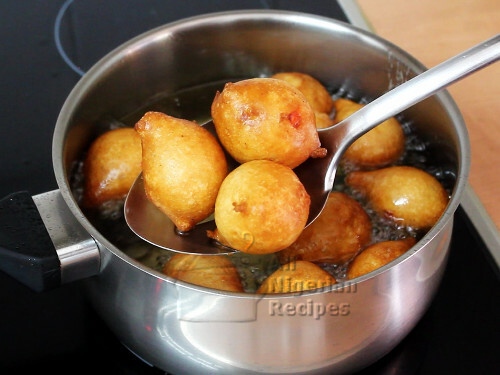 If you want some zing in your Puff Puff, you will be able to do so using the recipe on this page. Sift the flour into a clean dry bowl, add the nutmeg, yeast, sugar and salt. Mix well. Add warm water and mix till everything is well combined. Cover the bowl with aluminum foil or plastic film and place in a warm place to rise for 45 minutes or till double in size. 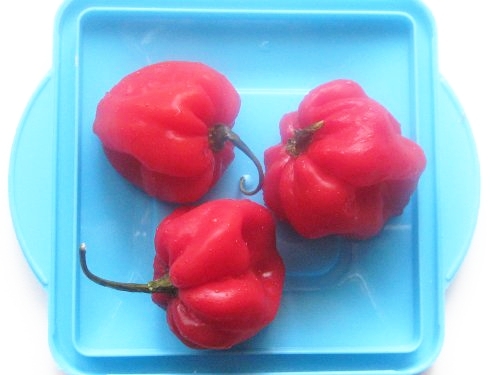 Cut the habanero pepper into timy pieces and add the batter. Stir very well. Pour some oil in a deep pot and allow to heat up. The oil should be at least 3 inches deep. This is to give room for the puff puffs to swim in the oil. It's not advisable to use a deep fryer for Puff Puff because of the netting but if you want to use it, set the temperature to 170°C. Test that the oil is hot enough by putting a drop of batter into the oil. If it sizzles and comes up to the surface of the oil, then the oil is hot enough. If the oil is not hot enough, the batter will go down to the bottom of the oil and stay there. When the oil is hot enough, scoop some batter into the oil with an ice cream scoop. See video below. Put in more scoops of the batter, as much as the space in the frying pot will allow without overcrowding. Once the underside of the puff puff has turned golden brown, flip the ball so that the topside will be fried as well. When the puff puff balls are golden all over, take them out and place in a sieve lined with paper towels. That's how to make Peppered Puff Puff. Serve with a chilled drink or Nigerian Style Fruit Salad. Feel free to top it up with jam and other condiments you normally eat doughnuts with.